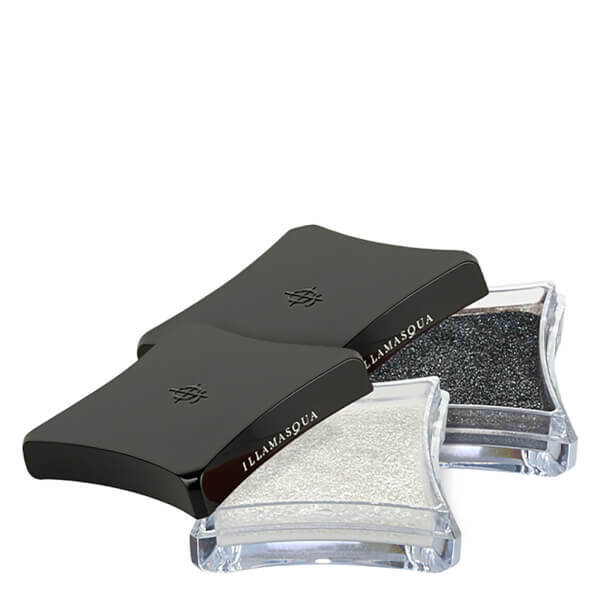 Be creative with light using Illamasqua Pure Pigment; a high-shine, pure-colour powder designed to highlight the eyes, cheeks and brow bone. Arriving in an eye-catching selection of metallic hues, Pure Pigment is able to complement and enhance any skin tone, as well as providing an array of different looks. The powder can be worn alone, or mixed with eyeshadow and blusher to add a glittering shimmer finish. Apply wet for a bolder, more dramatic colour pay off. Apply wet or dry to areas requiring highlight. When applied with a long bristle brush, Pure Pigment can also be used as a highlighter anywhere on the eyes, face and body. To intensify the colour, apply over a cream texture. Alternatively mix with Sealing Gel and apply using a fine brush for a shimmering liquid eye liner. Mica, Calcium Aluminum Borosilicate, Silica, Tin Oxide and May Contain: [+/- Titanium Dioxide Ci 77891, Iron Oxides Ci 77491, Ci 77492, Ci 77499, Chromium Oxide Greens Ci 77288, Carmine Ci 75470, Ferric Ferrocyanide Ci 77510] May Contain Carmine as a Colour Additive. Colours: Incite, Marvel, Tingle, Fervent, Lust, Breathe. Ingredients: Mica and May Contain: [+/- Titanium Dioxide Ci 77891, Iron Oxides Ci 77491, Ci 77492, Ci 77499, Chromium Oxide Greens Ci 77288].